The rigid "bean" backs are really easy to get in and out of shirts and don't break. Set with a red zircon, chrome green tourmaline and blue topaz. 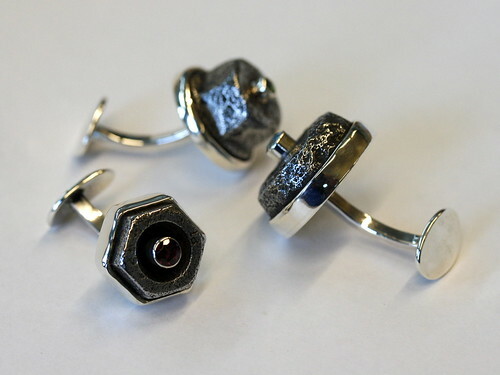 The nuts and bolt-heads were all found in the street. 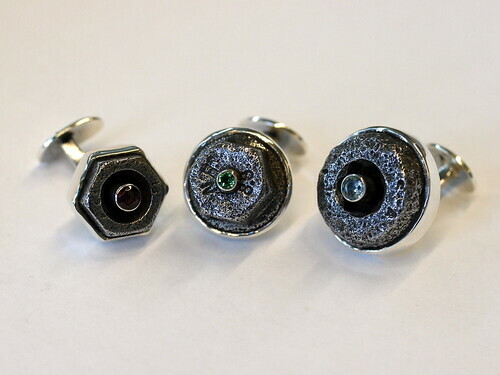 The cufflinks are always in groups of three (as are any earring sets I make) because I like people to interact with the set rather than just putting on "those cufflinks" or "those earrings".